Take your favorite Mount with you! 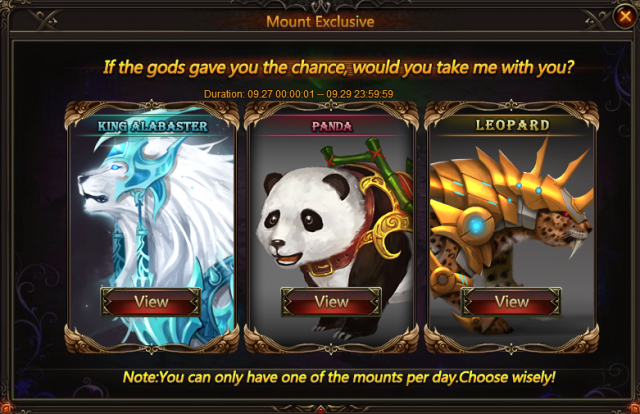 In the Mount Exclusive there are 3 Mounts, Ruthless Leopard, Panda and King Alabaster are waiting for you! 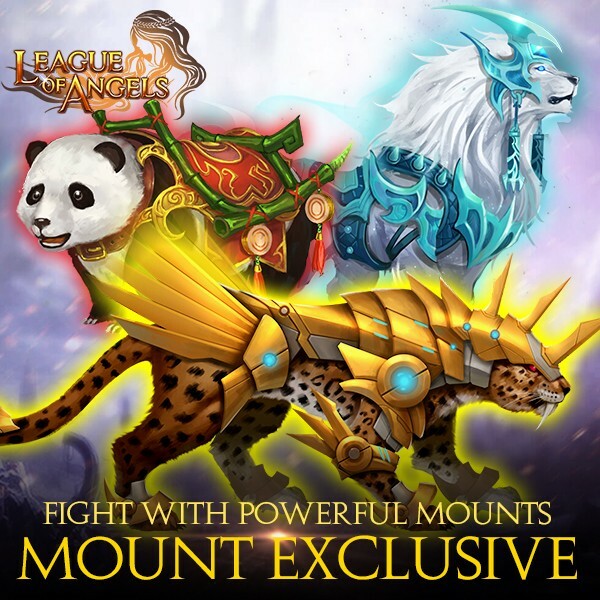 Which Mount do you want to join your world? 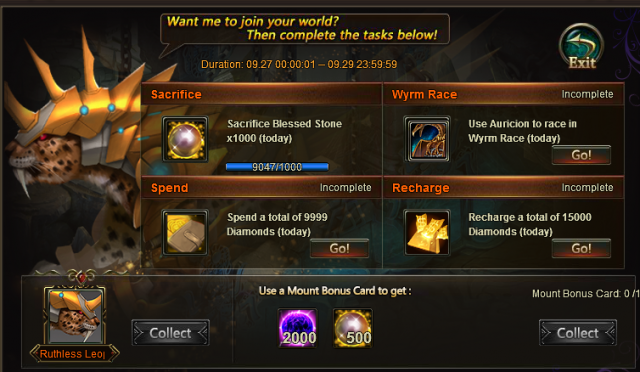 Choose one mount and complete tasks, and then you can take it into your team! You can walk away with one mount per day in Mount Exclusive and use the Mount Bonus Card to swap an extra reward. So be careful, don’t choose a mount that you already have. More exciting events are coming up through Sep 26 to Sep 28 (server time), check them out in the in-game Hot Events menu now! 2019-4-21 03:01 GMT+8 , Processed in 0.085798 second(s), 52 queries .